In corporate aviation, finding the people who possess the technical, operational and managerial skills to ensure customer satisfaction is rare, but not impossible. We have been incredibly successful in finding those rare individuals and implementing the right solutions for the private travel needs of our clients. Our expertise has saved our clients a great deal of time and money by recruiting the right people to work on their behalf. We work vigorously to ensure that our clients receive the highest quality of service at the best possible price. See the following pages for a brief outline of the various services we currently provide to our clients. We’re successful in the business of aircraft management, providing “personalized” managed service to each of our clients. 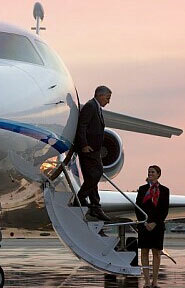 We have extensive experience in each professional discipline your flight operation requires.